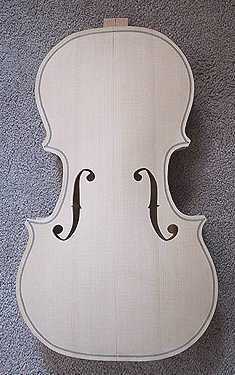 Just a couple of quick photos...I removed the clamps this morning and voilà --- I have a completed violin soundbox!!!! The top was glued on perfectly!!! I think I'll stick with the all-at-once hide-gluing method from now on. 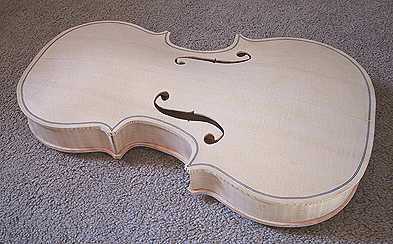 The next thing I have to do is totally clean up any glue squeeze-out, then cut out a portion of the top edge for the saddle and cut out the section at the top of the neck mortise, in preparation for fitting the neck joint . After that, I need to bevel and round the edges of the plates.